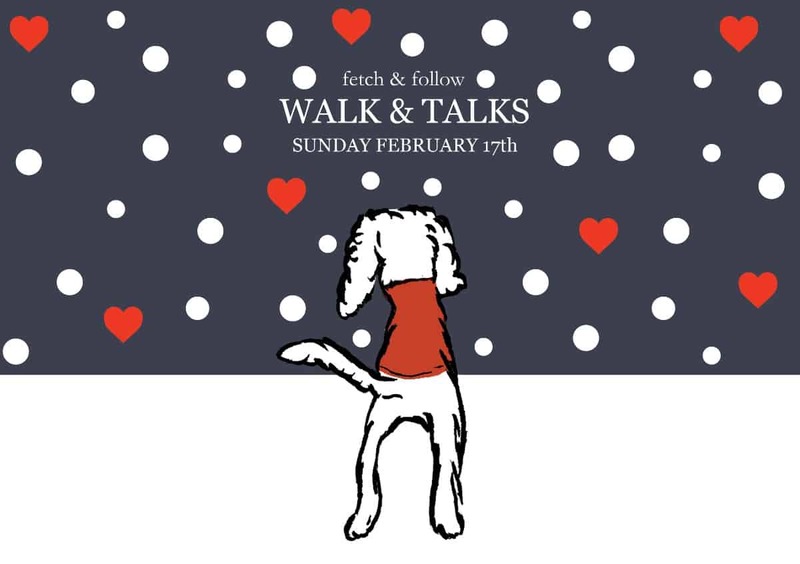 Fetch & Follow’s Walk & Talk February Edition: at Fetch and Follow a daily dog walk is an integral part of our routine come sun, rain and even snow. Having a dog opens a world of opportunity everyday with a new adventure every time you head out together. However we understand that at this time of year due to the weather, a post dog walk bath is often in order due to all the wet and muddy fun which has been had. With this in mind Fetch & Follow are excited to announce that for their February walk on Sunday 17th February, the group will be joined by the talented groomer Serena from Lead the Walk ,who will be on hand to give some expert tips on how to look after your dog furs during the winter months. We are delighted that you and your dog are planning to attend one of our walks. To ensure that both you and your dog enjoy your this time please take time to read the below. By agreeing to attend the walk you are agreeing to the below terms and conditions. You agree to accept full responsibility for your dog, including any bodily injury to any person or animal during the walk, or cause any property damage or other loss or liability in public areas during the walk. Please do not leave your dog unattended at any time during the walk.